Out there are many emails services but unfortunately, Gmail is the best email service. It’s because of the easy to use and cool features. Gmail is very popular but still there are some features which user didn’t know them like forward multiple emails in Gmail. So, in case you want to forward multiple emails then you don’t have to forward induce them. 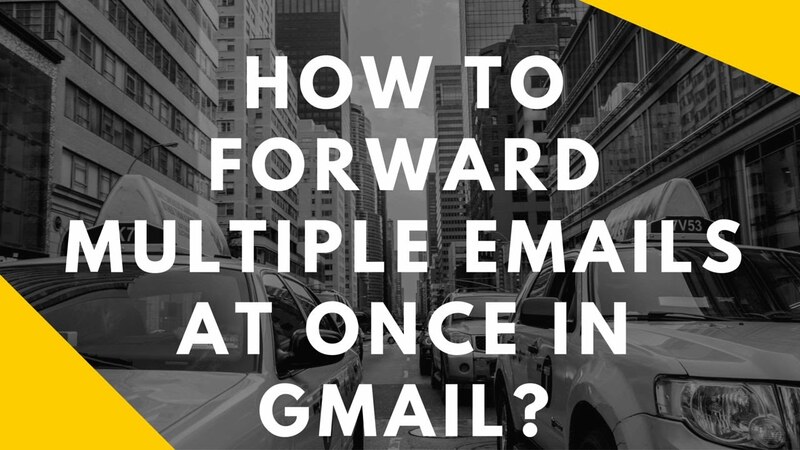 Today we are going to tell you a really cool way of forwarding Multiple Email in Gmail. How to Recover Permanently Deleted Emails from Gmail. Step 1: First, install the extension from the Chrome Web Store. Now login into Gmail account. Step 2: If you are already signed into the extension then okay otherwise you have to sign in and allow this extension to access your Gmail page. Step 3: Now select multiple emails from your inbox and click on the Forward icon and by hovering it you will find multi-forward. Step 4: Type the emails on where you want to forward the Email. You can add multiple recipients not more than 100, which is great. Once you have entered the email addresses, click on “Multi Forward”. Step 5: It takes some time to forward your email, but it’ll work for sure. Apparently, the Chrome extension perform great jobs. There is some limitation, you can only forward 100 Email in a day. It does not work on Chromebooks. Step 1: First, log in to your Gmail account and Go to Gmail Settings. In the Settings page, click on the “Forwarding and POP/IMAP” tab. Here, click on “Add forwarding address“. Step 2: Then, enter the email address of the recipient. A verification code will be sent to the email address you have entered. Click on the next and enter the verification code and click on “Verify“. Step 3: Then, make sure that you have enabled the option “Forward a copy…”. Click on the option “creating a filter“. 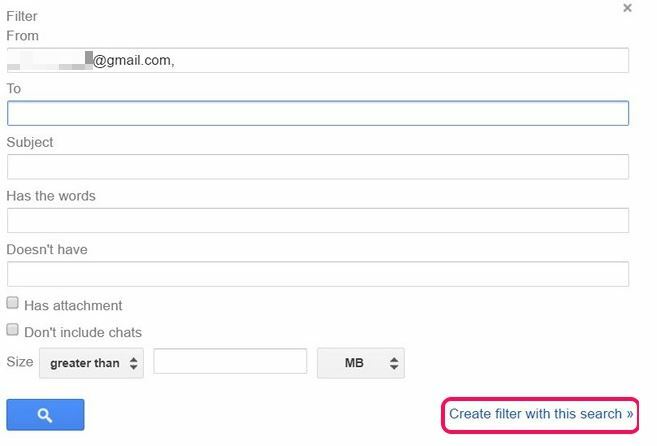 Step 4: Now create a filter for emails that you want to forward to the email address you specified. 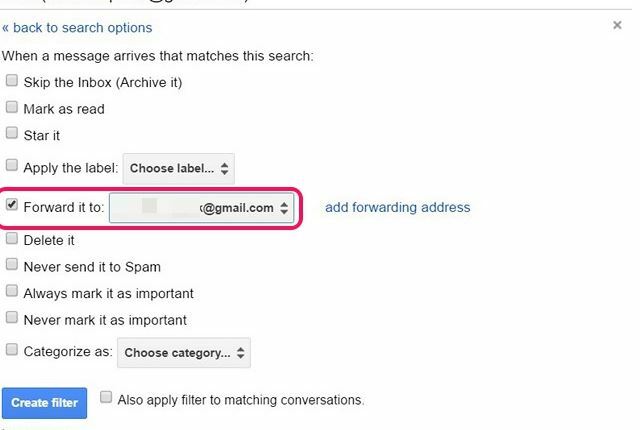 You can also add a specific address in “From” space to forward multiple emails. You can also fill the other space like to, subject, attachment to filter the emails. Once done it click on “create filter with this search“. Step 5: On the next page, select the label “Apply the label” and choose the address. And click on “Create Filter“. After these settings, Email will be forwarded automatically to the selected person (email). 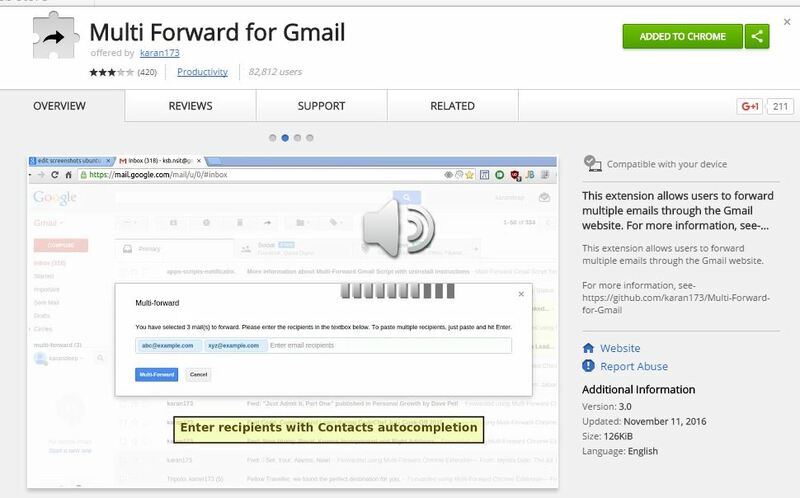 The chrome extension is much better option to forward multiple emails in Gmail if you didn’t want to it by manually. Otherwise, the another method of Filter is also good. So, try it and let us know which way work for you. If you have some other way to do this, tell us in the comment section.